This class is for children or young adults. There is no age requirement, as it is up to the parent to decide if this class is suitable for your child. There will be no ammunition present in the classroom. Snap caps (plastic/rubber cartridges) will be used for demonstrations and for students to use. 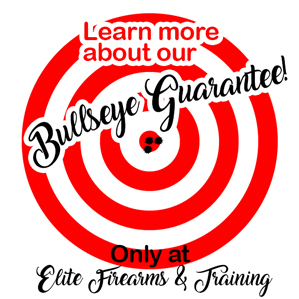 Range time is available for an additional $25. Children must be accompanied by an adult. 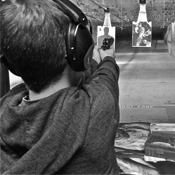 Parents can wait in the lobby area and watch their kids shoot on the range through the glass window.